The Singing Men of Northern Indiana, Inc. Welcome to The Website of The Singing Men of Northern Indiana, Inc.
We are a non-denominational sacred men's chorus from a wide range of professions, churches and communities in Northern Indiana, including Elkhart, Goshen and surrounding communities. 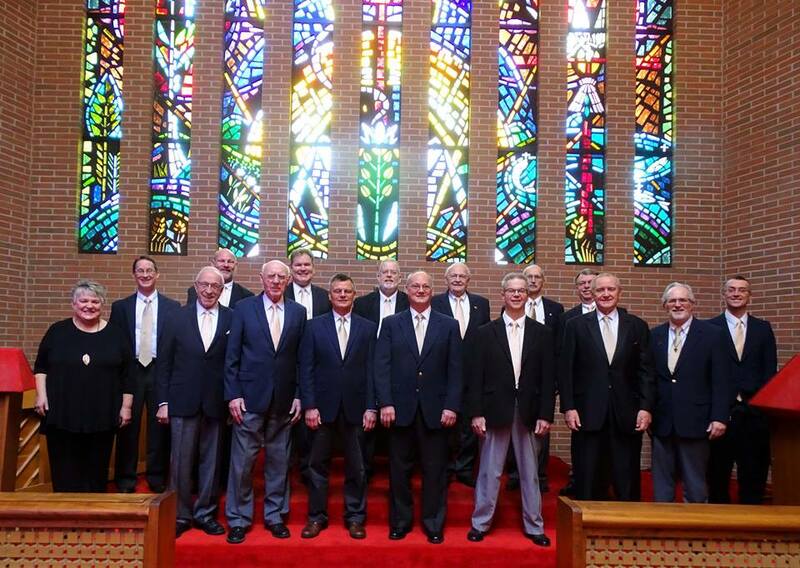 We are patterned on The Singing Men of Oak Brook from Oak Brook, Illinois, who have been ministering in music for more than 30 years and The Singing Men of Central Wisconsin. This picture was taken on January 13th, 2019 after our singing in the service of Trinity Methodist on Jackson. This week's new challenge "How Great Thou Art for May 19th"
Lord, Listen to Your Children Praying is on the practice cd and can be listened to in the car if you have a cd player in your car. A practice CD is available for the arrangements that are listed above for May 19th. Many arrangements can also be listened to by clicking on the music listings page of this web site and clicking on the title if the arrangement is underlined. Music for 4 patriotic arrangements was handed out at the March 26th practice to use in preparing for the May 19th concert. We have more copies for those who were not at the March 26th practice. As of August 3rd, 2017, The Singing Men of Northern Indiana, Inc is a 501-c-3 tax exempt organization.